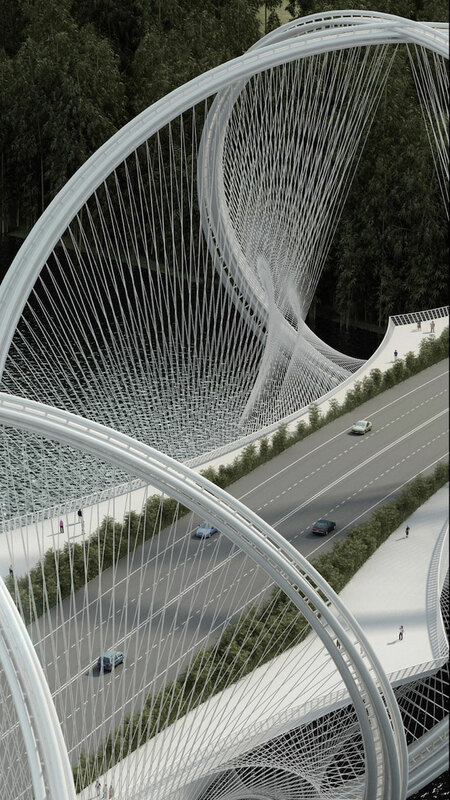 Architecture firm Penda and engineering firm Arup have teamed up to undertake the ambitious goal of redesigning the suspension bridge, with their newly commissioned project to build the San Shan Bridge in China. 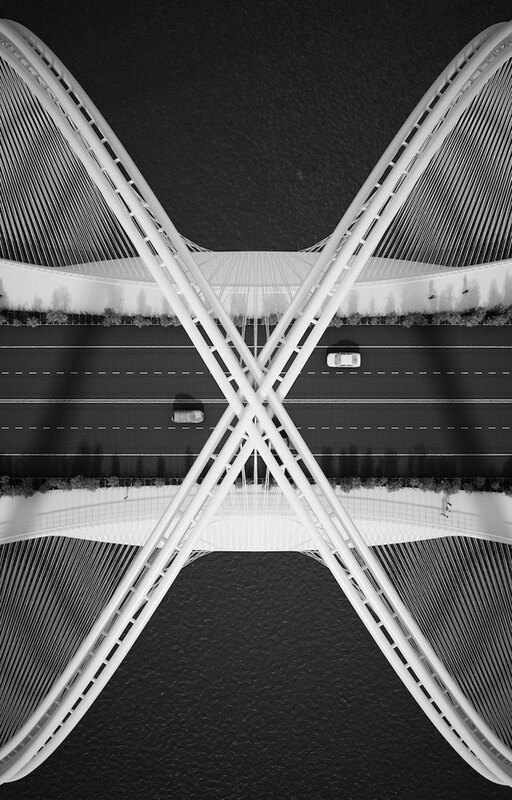 The bridge will be completed in time for the 2022 Winter Olympic Games in Beijing, and will span across the Gui River connecting Beijing’s city center to Zhangjiakou. 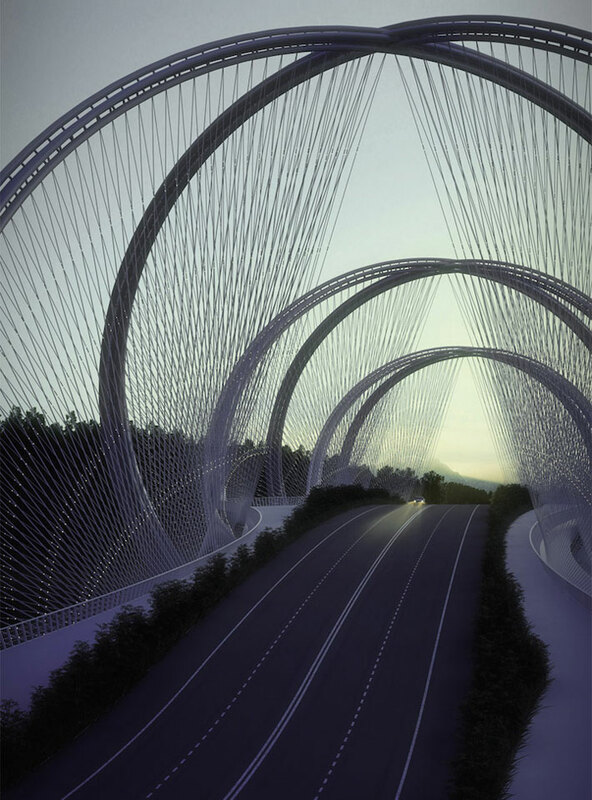 The inspiration for San Shan Bridge is a combination of the Olympic symbol and its five rings, the location’s surrounding landscape of mountains and valleys, and the structural resemblance of the bridge to the shape of a DNA. Visitors have a multifaceted experience of the structure depending on their perspective of the bridge. 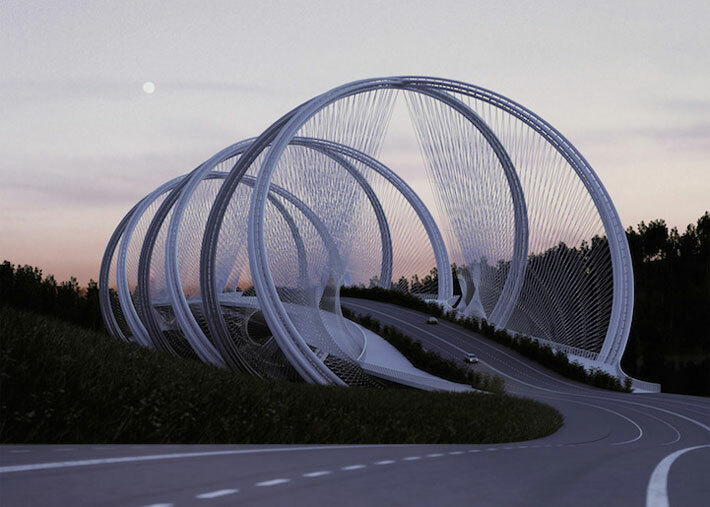 The main structure of the bridge is conceived as a series of the Olympic rings, which connect at their highest and lowest points. 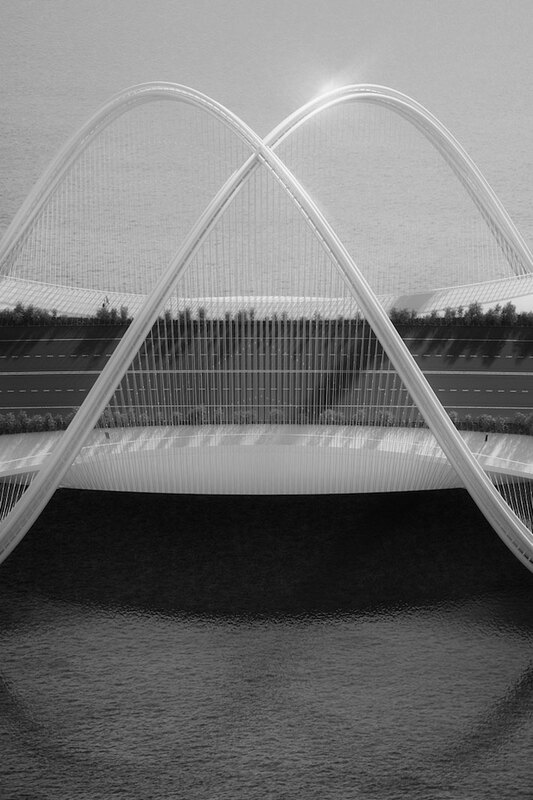 “Entering the rings on the way to the Olympic competitions, should be seen as a contextual icon for the Games.” The English translation of name “San Shan” is Three Mountains, describing the form of the bridge as seen from the side with its three continuous arches connecting to the hilly backdrop. 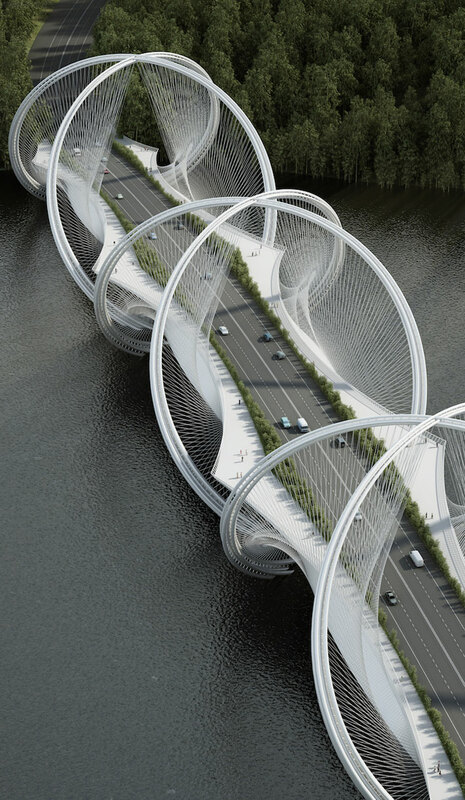 Additionally, when viewed from the top the bridge seemingly connects the two shores of the Gui River through double helix spirals. 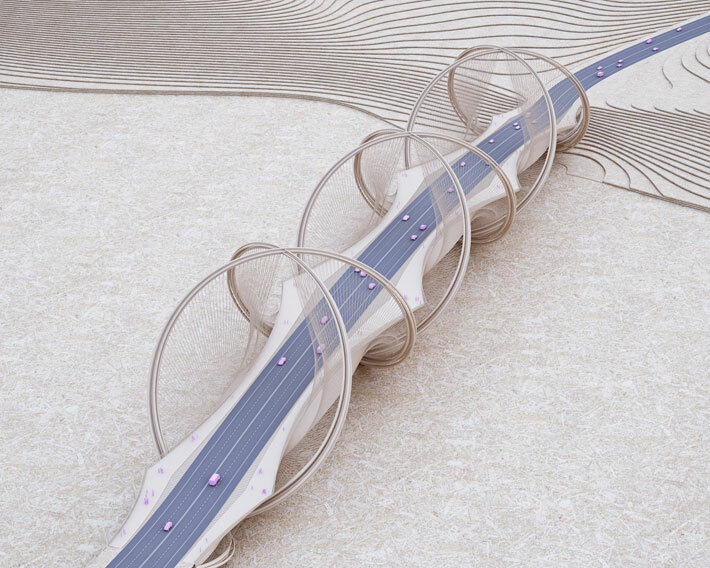 While the structural design of the bridge does take cues from the spiraling tubes of roller coasters, Chirs Precht, co-founder of Penda says it is helpful to view the apparatus in a similar way as a bicycle wheel. 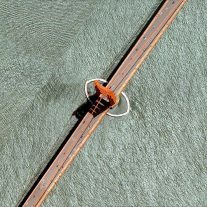 Each of the bridge’s six 300-foot tall steel rings tilt toward each other in pairs, and the deck and cables are the hub and spokes of the wheel, respectively. 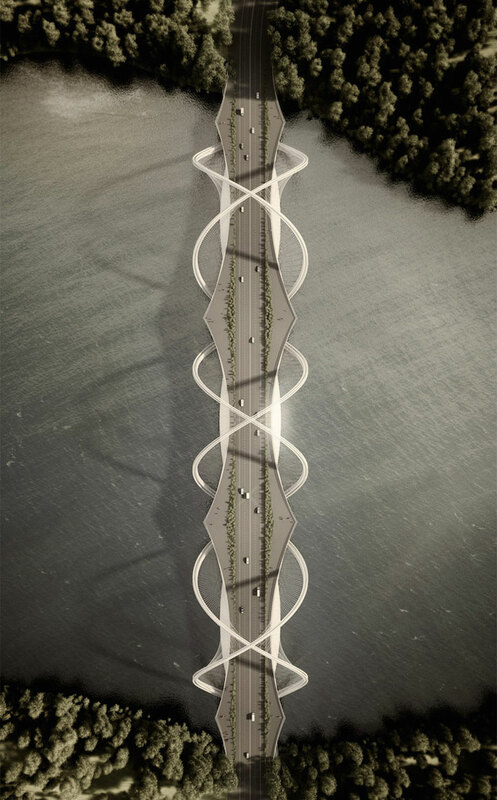 The bridge is also meant to be enjoyed as a public space, with transportation lanes and the pedestrian lanes divided by a natural stripe of hedges and trees.